As an employee, being safe going to and coming from work is always important. But in light of the #MeToo movement recently, this concern has grown, especially for women. 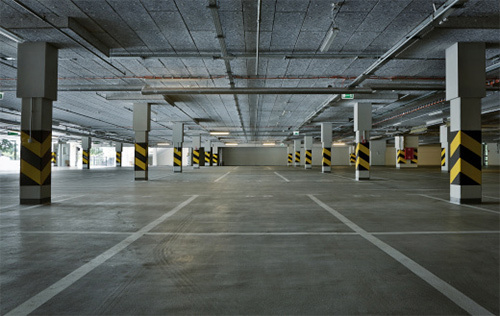 According to the Bureau of Justice Statistics, 1 in 10 property crimes occur in parking lots and garages outside of workplaces, and 7.3 percent of all violent crime happens at these locations. Of those crimes, 16 percent were rapes, robberies or assaults. This is especially concerning for business owners whose job is to keep their property safe for both their employees and their patrons. Let’s take a look at what makes a property unsafe, how your property may be at risk and what you can do to prevent crimes from occurring in your parking lots and garages. 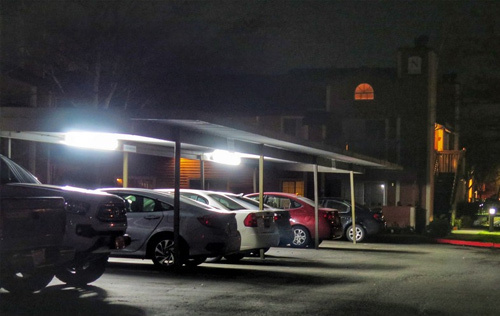 Most commercial property parking lots and garages tend to be darker and more hidden, so they may not be as well lit or secure as, say, the inside of a building would be. This makes it easier for predators to target your employees who they know are working early morning and long nights when there is less foot traffic and light in the sky. As a business owner, it’s your responsibility to keep your property safe from these kinds of predators. Sure, you may be keeping your building in compliance with the required safety codes or paying extra for the upkeep of landscaping around the property, but is your property truly safe beyond that? Let’s take a look at some of the things that could deem your job site a target for crime. If your parking lot or garages are poorly lit, that be a serious hazard for employees and patrons walking to and from your building, or cars backing in and out. Poor lighting also gives criminals an opportunity to commit robbery and other crimes and potentially get away with them because of the dim or unlit areas of your property. You may want to consider installing LED lights or other popular forms of commercial property lighting to ensure the security and safety of your employees at night. This can help brighten up the outside areas of your business which in turn will brighten up any dark areas, reduce hiding spots for criminals, ward off trespassers and bolster parking lot security overall. Another reason your business could be a target for crime is due to lack of security on your property. If there is no security guard present or any other type of deterrent, criminals will likely feel comfortable to carry out their crimes. It may be helpful to install motion detectors and alarm system to scare away criminals planning to rob or vandalize your property. You may be thinking: But this could never happen at my property, right? Wrong. Proper lighting and security alarms may keep your property safe for the short term, but for the long term, it is probably not enough. One of the best ways business owners can truly keep their property safe is to leverage security surveillance installation. For example, ECAMSECURE offers thermal imaging surveillance cameras that have the ability to see threats that would otherwise be invisible to the naked eye. This is ideal for those parking lots and garages that are not well lit because thermal cameras don’t require any lighting. In addition, ECAMSECURE also has options for remote site surveillance monitoring. This means that you can watch your business 24/7 without having to step foot on your property. The cameras record in real-time so that you can sound alarms, speakers and alert the authorities should you see any suspicious activity. This will help keep your building and your employees safe from any kind of attacks, robberies or any other heinous crimes. To avoid being a part of another crime statistic it’s your job to keep your employees safe from crimes on or around your property. With all options considered, site surveillance systems are going to be the best way to help prevent these types of crimes from happening at your job site. No matter what your security needs, ECAMSECURE has what you need.